Ever find yourself in the middle of a space walk and suddenly have to go number two? You can't exactly strip down and relieve yourself right then and there. So, what's an astronaut to do? In lieu of diapers, NASA is crowd-sourcing ideas for a waste management system to be used in launch and entry suits. Come up with the winning idea, and you could receive up to $30,000. Known as the "Space Poop Challenge"—we're not making this up—the project is the latest from the NASA Tournament Lab, a platform that solicits crowd-funded ideas to apply to the Space Program. "In in-suit waste management system would be beneficial for contingency scenarios or for any long duration tasks," the challenge's description reads. For shorter durations, an adult diaper is a feasible if inelegant solution. But over extended periods—we're talking days—a diaper is neither safe nor sustainable. That's where your great idea comes in. Going to the bathroom on the ISS is already challenging enough without a space suit on, as HeroX, which is hosting the contest, explains. Our terrestrial toilets use gravity to flush everything away, but doing your business in the weightlessness of outer space gets tricky. So, how exactly does one go number one, or number two, in space? The toilets on the ISS are so different from yours, astronauts actually need some supplemental potty training to figure them out. And they're astronauts. Apparently, it's a little different for men and women when going number one—you need the right attachments—but it's essentially the same when going number two. After that, the ISS uses a few different methods for disposing of, or recycling, waste. Not exactly like popping a squat on the toilet in your home. NASA has more or less figured out a way for astronauts to comfortably use the bathroom on the ISS. Now, it's time to come up with a better in-suit solution. The best ideas should create a system "that will collect waste and route it away from an astronaut's body, hands-free, while wearing a spacesuit." The idea will also be able to implement in five minutes or less, and can't cause any air leakage in the pressurized suit. It also has to work for men and woman of "varying size and weight." 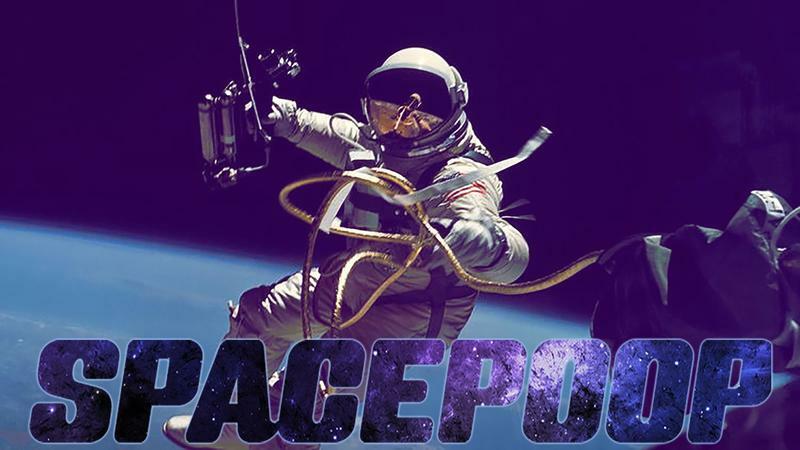 The deadline to enter the Space Poop Challenge is Dec. 20. You can learn more about entering here.